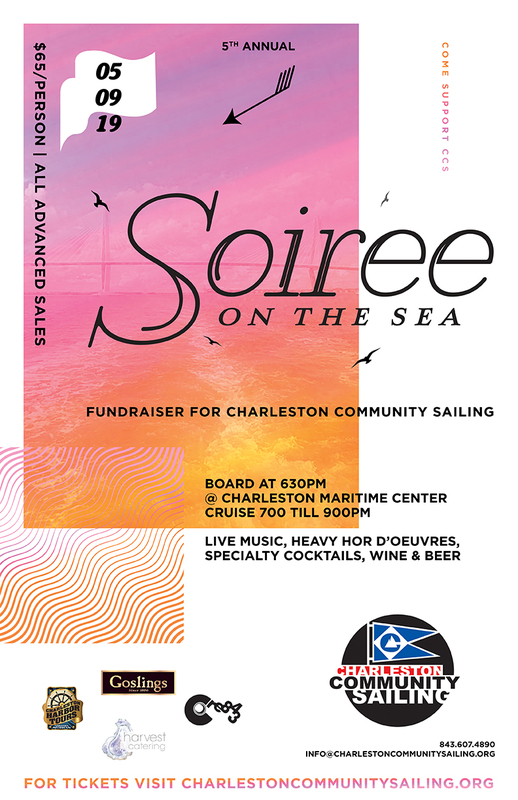 Cruise for a cause aboard the Carolina Belle to benefit Charleston Community Sailing! We will start boarding at 6:30pm at the Charleston Maritime Center and then cruise the harbor from 7:00-9:00pm. There will be heavy hors d’oeuvres, cocktails & MORE! Purchase your tickets below as spots are limited.